Turkish rescue boats evacuated the 11 crew members of a dry cargo ship which broke in two in the Black Sea while on anchor off Istanbul’s Kilyos coast. The 114-meter ship, built in 1975, was en route to the Tuzla dockyard in Istanbul for repairs when the incident happened, local media reported. The vessel began to buckle and broke into two pieces on Sunday. 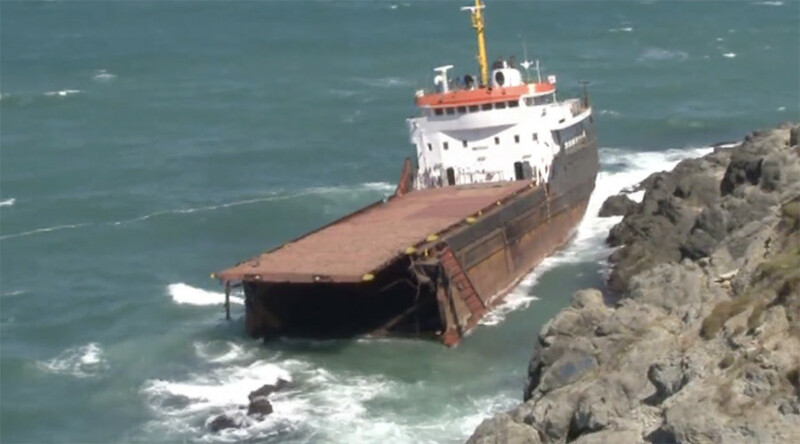 Half of the freighter was towed ashore while the other section was left to sink.